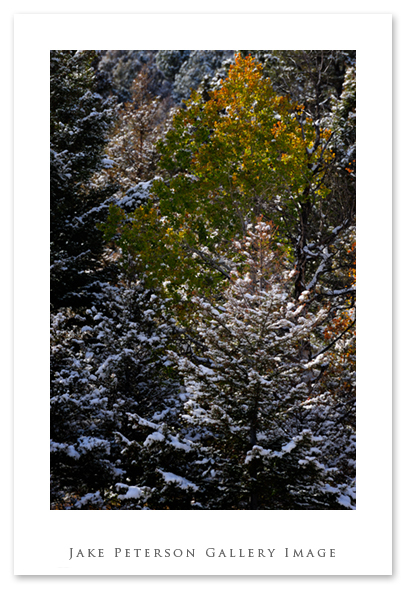 These were the only shots i took of the fall color this past weekend. 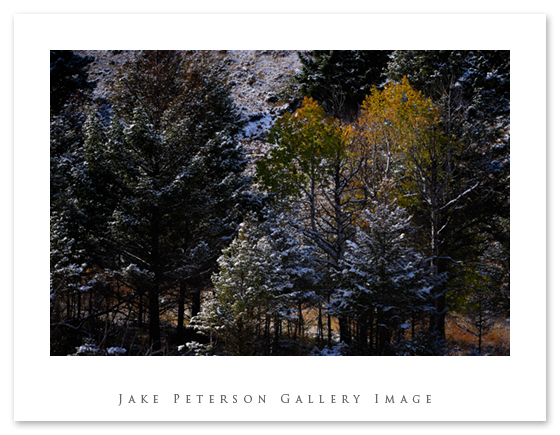 The look of the leaves to the snow covered pines was just great, but i fell a little short in showing that beauty. Not really sure what happened, might have just been one of those shots that was better to see and not to take. But then again I’m not great at landscapes so who knows. Fall color seems to be one of those elements that is hard to get a good shot of. It’s funny cuz one would think with all that color that it would be easy but it really isn’t. Hopefully i’ll find some more to play with before it all disappears. The weather up here is supposedly going to stay cold and wet for a while. Nothing like a white Halloween.